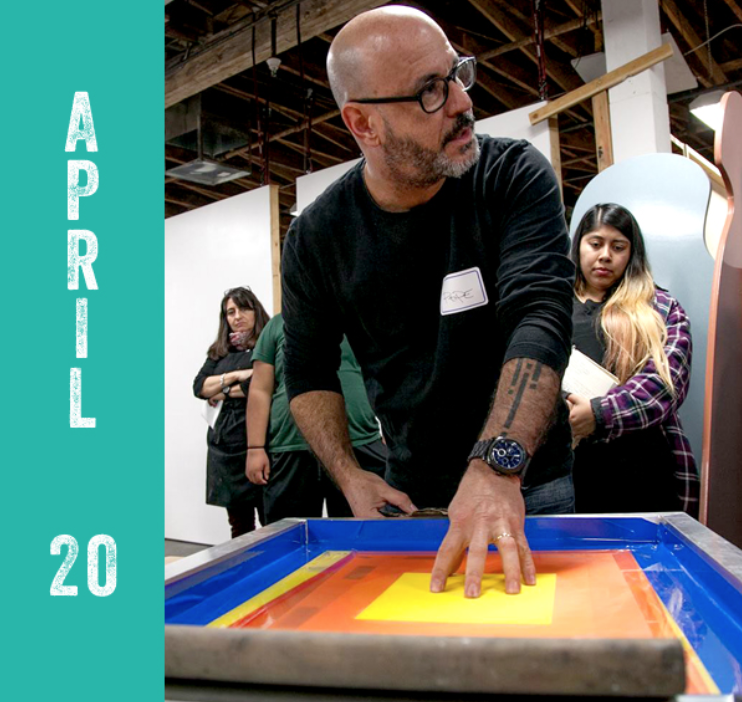 Self Help Graphics & Art is proud to host our biennial Printmaking Summit April 18-20, 2019 with demonstrations, workshops, panel discussions and artist talks focused on the role printmaking in today’s creative economy for students, emerging artists and skilled national printmakers. Admission to the summit is $25.00 (3-day pass) or $15.00 for students with a valid I.D. (3-day pass). The Portfolio Review is an opportunity for artists to have their portfolio of works critiqued by printmaking faculty from various colleges and universities. Each artist will meet with a pair of faculty for a 15-minute review session. Once your application has been received and accepted, we will notify you. Come view our Utopia/Dystopia exhibition; a portfolio of fine art prints created in the form of a deck of 52 playing cards. Twenty-six artists were invited to create two cards for the deck to create their interpretation of utopia and dystopia. The deck of cards allows the project to bring many different artists and styles together creating one unified artwork- a full deck, redefining a traditional portfolio. The concept of a deck of cards is intended to reference many things- games of chance, luck, fortune, war, solitude, precarious situations (house of cards), magic, empire, and divination. It serves as a container for many ideas, and each artist has chosen their own direction.